Essentially, implants provide the foundation needed for prosthetic teeth without placing the weight of support on the surrounding teeth. Implants function as roots do for healthy teeth, keeping the tooth properly connected to the jawbone. With current technological advancements, modern implants are the strongest support possible for replacement teeth. 1 Provide a strong foundation for artificial teeth. 2 Support prosthetic teeth comfortably and invisibly. 4 Preserves bone health and stimulates growth. 5 Allow your other teeth to only support themselves. At your first visit, we will conduct a full examination of your mouth to determine the optimal solution. As needed, x-rays and 3D imaging will be utilized to create a clear picture of your options. Our team will consult with you to reach the ideal implant surgery plan. When you arrive for your next appointment, making you comfortable is our first priority. Local anesthesia and sedation are available as needed to put you at rest for the procedure. At the jawbone, we will carefully place the implant in the location of your missing tooth. Although some swelling and pain after the sedatives and anesthesia has worn off is possible, most patients have reported minimal pain. If possible, an abutment or small connector will be placed at this time as well. Allow healing and bonding time. During your healing process over the next few months, your jawbone and the implant will naturally bond. This process of your jawbone and the implant growing together is called osseointegration and it is the reason why implants allow for the strongest foundation. Essentially, your body is accepting the implant as a natural part of your smile. After the healing period is complete, your artificial tooth will have the ideal base ready. Now that your foundation is ready, impressions will be made so that your custom tooth or teeth can be created. These impressions will account for your whole smile so the artificial tooth or teeth will blend cohesively with your existing teeth. 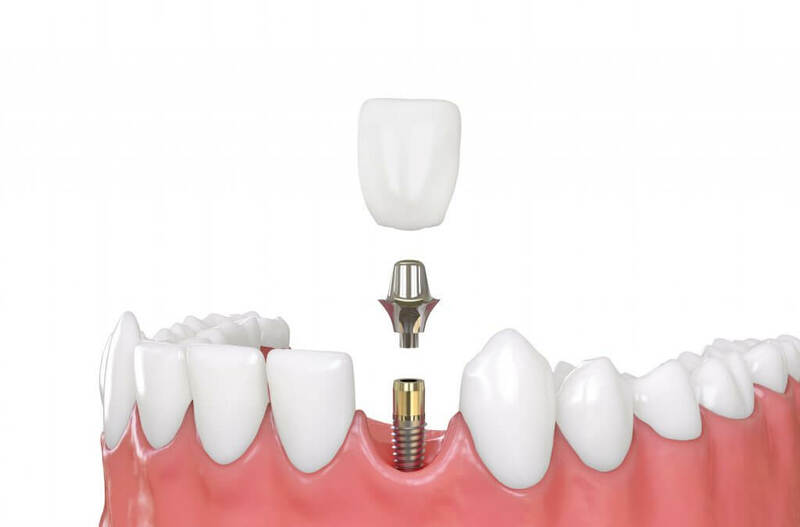 When your custom tooth or teeth are ready, we will attach them to the abutment and implant. Your prosthetic tooth or teeth will function and appear as if it always was a part of your smile. 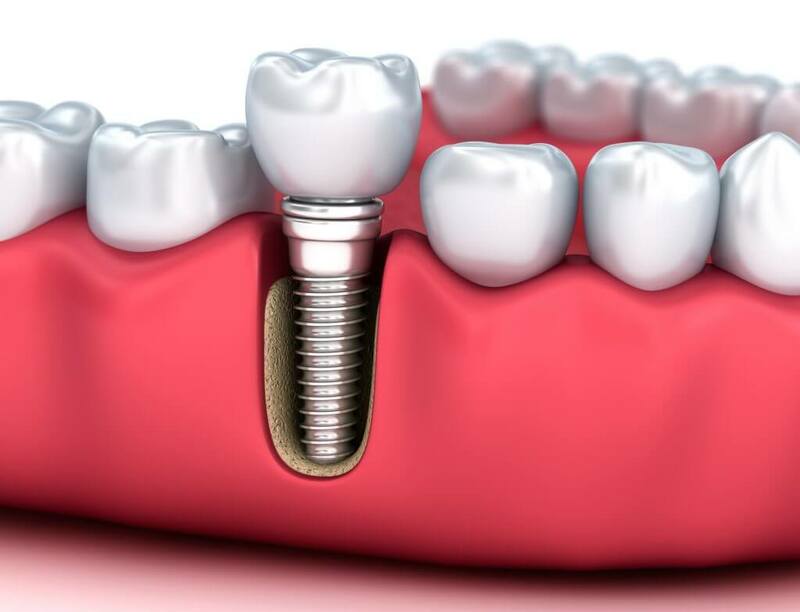 If you are interested in discussing implants, schedule a consultation to determine the best restorative dental solution for improving your tooth function, oral health, and appearance.